How to Conquer Mob Mentality! 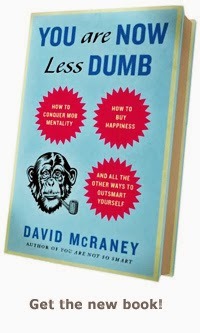 AND ALL THE OTHER WAYS TO OUTSMART YOURSELF!!!!!!! 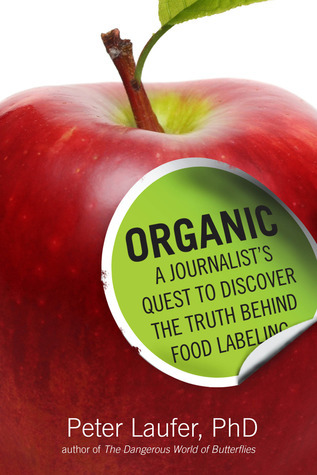 Part food narrative, part investigation, part adventure story, Organic is an eye-opening and entertaining look into the anything goes world behind the organic label. It is also a wakeup call about the dubious origins of food labeled organic. After eating some suspect organic walnuts that supposedly were produced in Kazakhstan, veteran journalist Peter Laufer chooses a few items from his home pantry and traces their origins back to their source. Along the way he learns how easily we are tricked into taking “organic” claims at face value. Fats and oils are our most concentrated source of energy. Many sources of fats provide important nutrients, such as fat-soluble vitamins and unsaturated fatty acids. Generally obtained in meat an dairy products including butter, eggs, milk and cheese. These fats tend to raise blood cholesterol levels and do not melt at room temperature. Found in fish, nuts, olive oil and peanut oils. Unsaturated fats contain less hydrogen than saturated fats and have little effect on blood cholesterol levels. Such fats are liquid at room temperature. Found in soybean, corn and safflower oils. These fats contain less hydrogen than unsaturated fats and tend to lower blood cholesterol levels. Such fats are liquid at room temperature. Unsaturated fats that have been hardened by the addition of hydrogen. These are most often found in shortening and margarine and tend to raise blood cholesterol levels. They remain solid at room temperatures. Any fat that is liquid at room temperature is called an oil. In general, oils are less saturated than fats, with the exception of coconut oil. In buying a margarine or shortening, you want one that is high in polyunsaturated fats. Buy one that gives liquid safflower oil or corn oil as the first ingredient on the label, not hydrogenated vegetable oil. Pure vegetable oils are not saturated and should be your choice over solid margarine. The fats used in oils, spreads, and shortenings are only part of the total fat in your diet. You have to consider both visible and invisible fat. A lot of fat is found in meats, especially marbleized steaks, hot dogs, hamburger, corned beef and duck. Cheese varies, depending on the type: Cottage, ricotta and farmer, for example, are low in saturated fats; others such as Brie, Camembert, blue cheese and cream cheese are high. 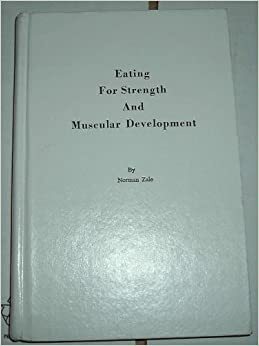 For most weight trainers, the ideal way is to incorporate the essential fats and oils in the diet is to use them in their natural state, or as nearly so as possible - nuts or seeds, eaten raw and sprouted, not only provide the finest oils but enzymes, raw protein, vitamins and minerals. Avocados are another good source of oil, combined with other essential nutrients and raw protein. Even though small in quantity, the protein from avocados is high in quality and therefore a valuable addition to the diet. Fresh grains, sprouted, soaked or freshly ground are also valuable sources of essential oils. Who can deny the value of wheat germ oil? Fish oils such as cod liver oil and halibut are very valuable foods. They are high in Vitamin D and unsaturated fatty acids, and are useful in calcium metabolism. In addition to these two oils, flax seed oil has been found to have a cholesterol buffering factor which lessens the effect of hardened fats and margarines. However, since flax seed oil is one of the most perishable of all oils, the seed and oil should be kept under refrigeration at all times. Any natural fat, whether from meat, poultry, or fish, will melt at room temperature, and will be a soft golden color. These fats may be used with safety. Animal fats that are hard, white, and will not melt unless boiled, broiled or fried, should be eliminated from the diet once and for all. Honey comb, bone marrow, and raw butter are also good foods to include, not only for their unsaturated fatty acids, but for the Vitamin E and their "Factor-X" - an anti-stiffening factor which they contain. Many men, when following high-protein-and-little-else diets, sometimes make the realization that their diets are deficient in essential oils. This condition is usually remedied by the inclusion of a teaspoon of either flax seed, safflower or wheat germ oil with each meal. Combining these three oils plus soy bean oil makes a welcome addition to the diet and insures the user that sufficient of the proper types of oils are used to insure maximum utilization of other foods eaten. Next: A Large Chapter on Vitamins.